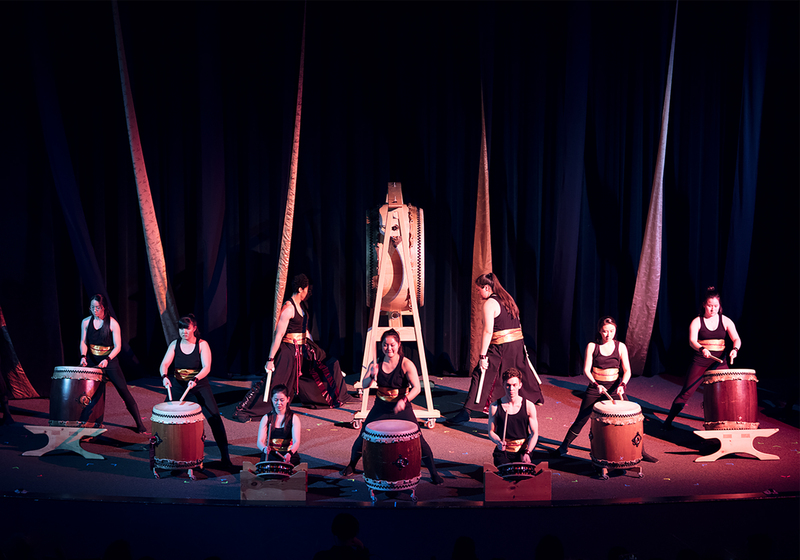 Gendo Taiko is a Japanese drumming group formed by students from Brown University and the Rhode Island School of Design with a mission to practice, teach and perform Taiko, which is a traditional Japanese musical art form that involves percussion and tightly-choreographed movements. 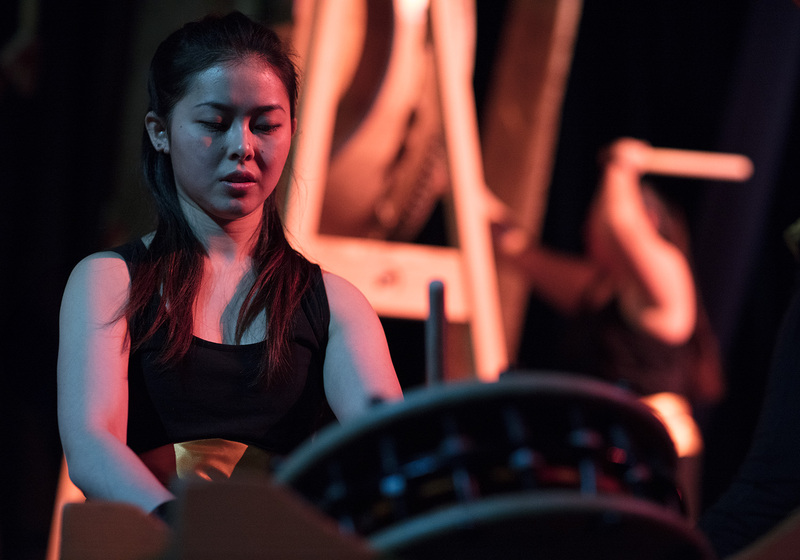 Gendo Taiko's annual performance, Gravity, showcases a diversity of instruments, playing styles, and musical pieces, including traditional scores whose origins can be traced back to Japan. 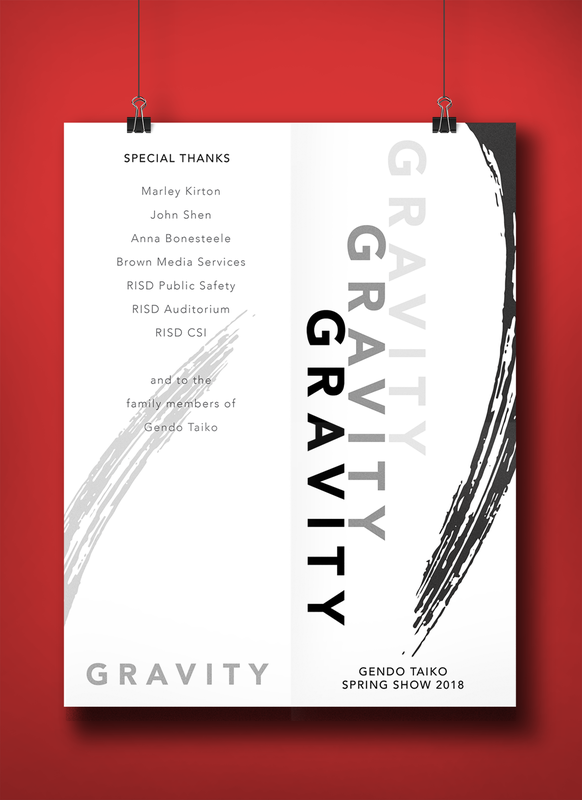 For Gravity 2018, I acted as creative director for the opening piece, Yoarashi: an original piece that was composed by early members of the group. 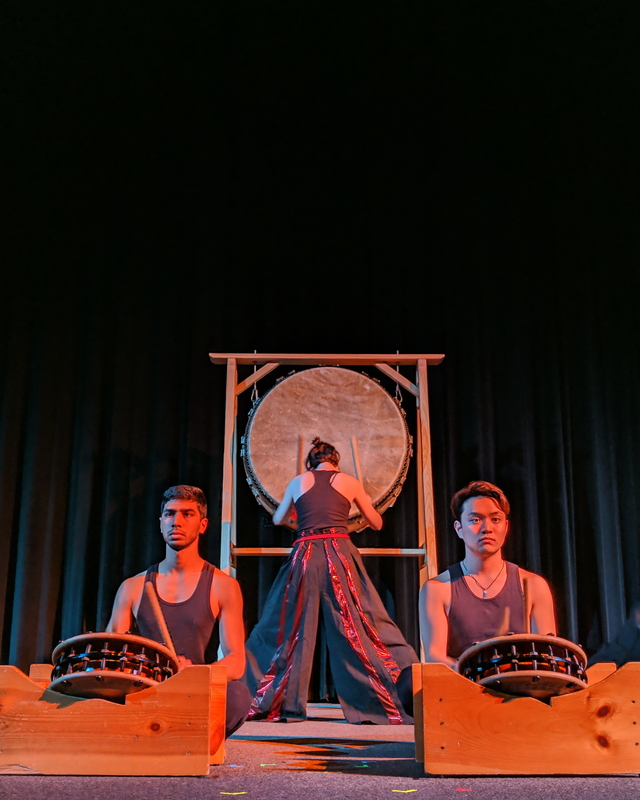 My responsibilities included arrangement preparation, lighting direction, as well as designing and making costumes for the players. 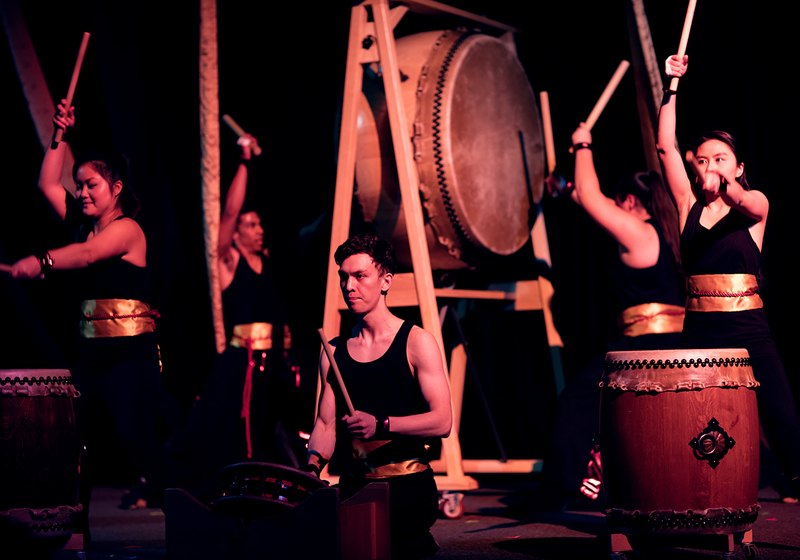 The performance drew inspiration from the historical use of taiko drumming during warfare whilst showcasing the ferocity, strength and precision of Gendo Taiko's drumming style. This idea was demonstrated using a theme of stealthy battle ships slowly emerging from the darkness before springing into action. 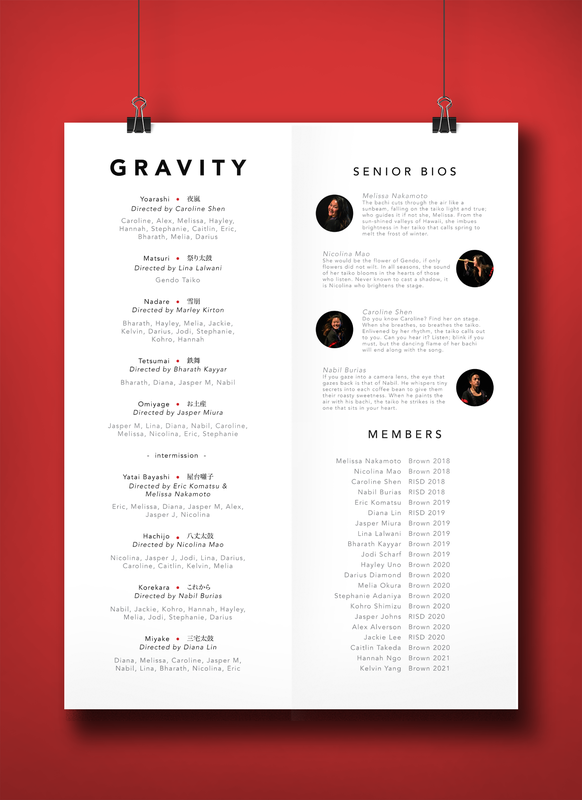 Additionally, the performance program was redesigned to suit this theme.